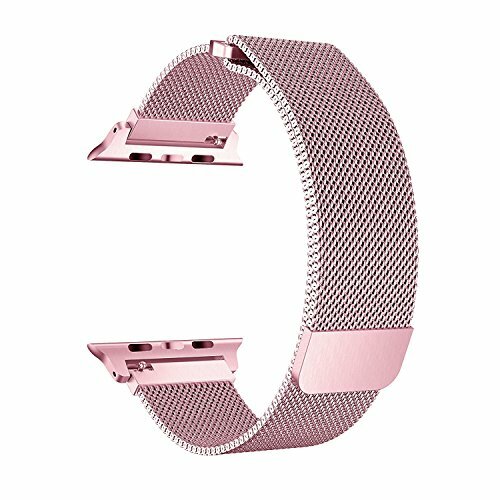 Personalized Your Apple Watch 38/42mm Series 3, Series 2 and Series 1 with this refined replacement stainless steel iWatch band Milanese loop. Apple Watch 38/42mm band Milanese Loop in Rose Gold, Silver, Black, Gold, Space Gray, Gold (Series 3). Perfect match for your Apple Watch All models. BRG is us registered brand (serial number: 86490748), we endeavor to provide the best service and aim to contribute in the best way to fulfill all the needs of our valued customers. If you have any questions about this product by BRG, contact us by completing and submitting the form below. If you are looking for a specif part number, please include it with your message.